As part of The Old Schoolhouse Homeschool Crew, I received a free trial of an online reading curriculum called Reading Eggs. Reading Eggs now has 100 big lessons. These 100 lessons are perfect for 4 to 7 year olds who are learning to read. 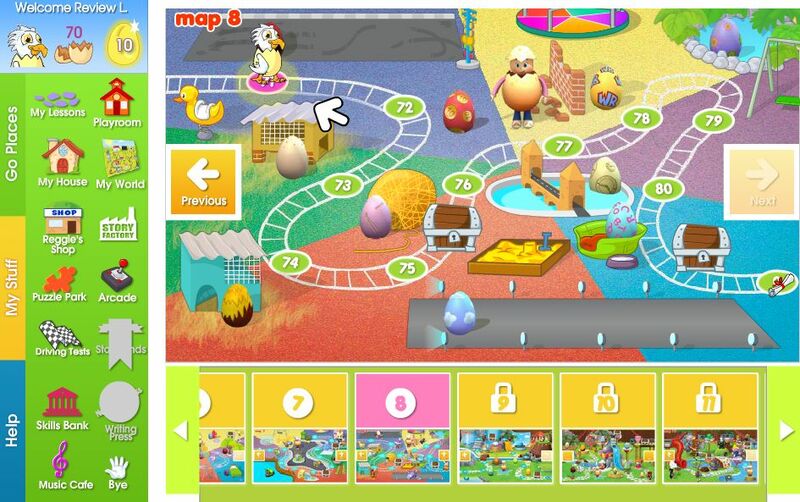 We are still building more NEW lessons for our older Eggsplorers as part of Reading Eggs World. This world is perfect for 6-8 year olds who already know the basics of reading but who still have much to learn about reading, writing, spelling, and comprehension. 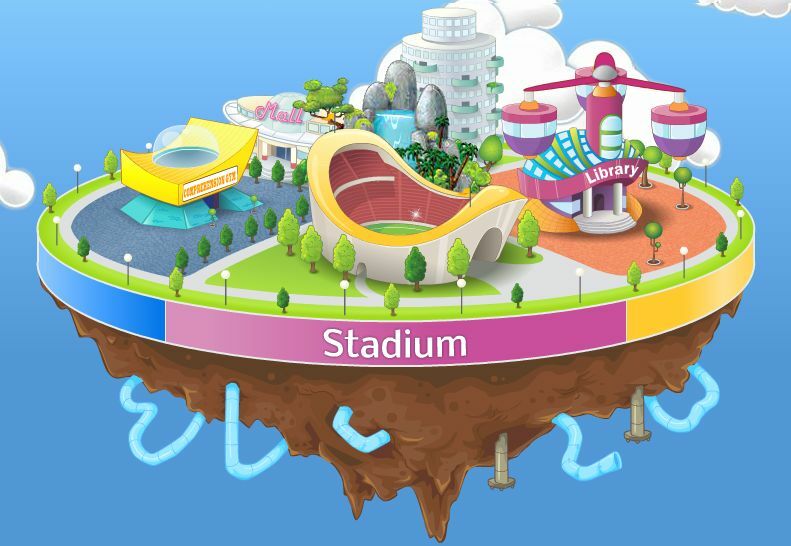 This exciting new world has lots of new lessons, a creative story writing factory, new games and will soon have many wonderful new books to read in Storylands. The learning focuses on building reading fluency and comprehension, spelling, vocabulary, and a range of writing skills including grammar and punctuation. I used Reading Eggs with my 11 year old son. I liked the variety of lessons available on Reading Eggs. 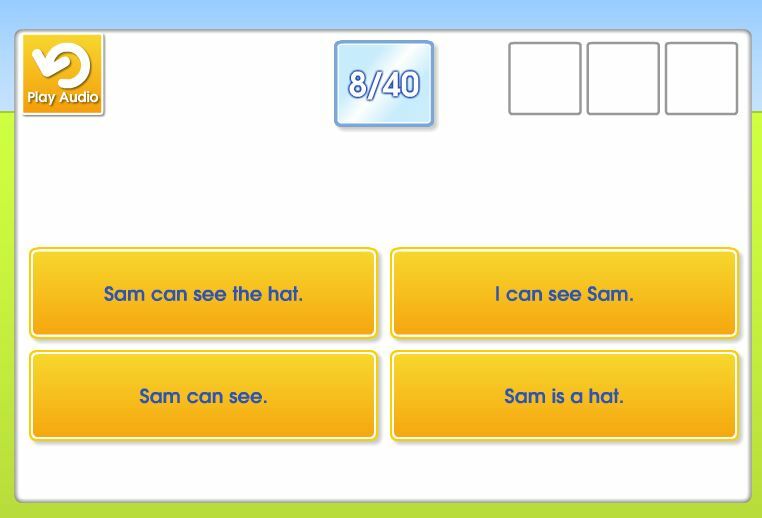 In this first screen shot, the narrator is saying a sentence, and the child has to click on the right sentence. 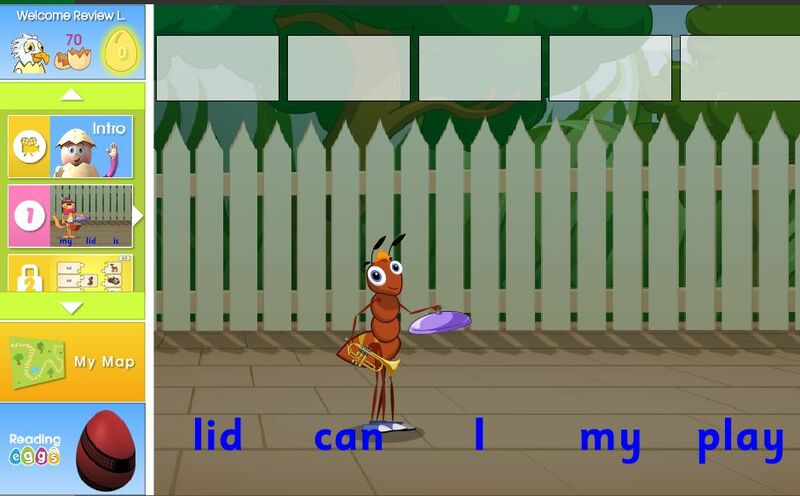 The can click the “Play Audio” button to have the sentence repeated. 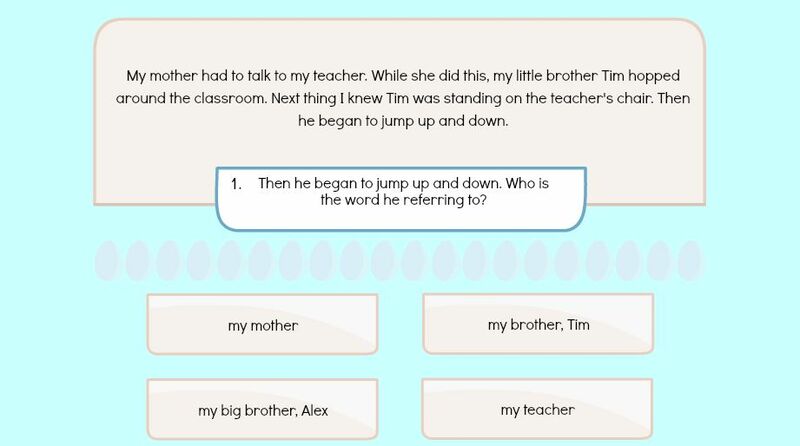 Since the sentences look similar, the child has to really pay attention. My son would listen to only have the sentence and click on the first sentence he saw that matched. After not liking getting a lot wrong, he finally learned to listen to the complete sentence. That is obviously farther along in the lessons. Since children can start using Reading Eggs at age 4, the lessons start with beginning reading skills. There are a lot of games that the child can play while learning at the same time. They also have a menu available to them. 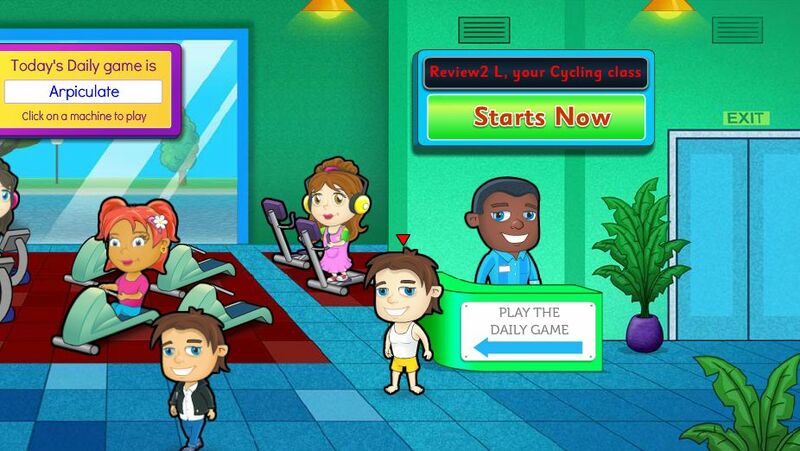 They can do their lessons, play a game, dress up their avatar and more. There are also printable activity sheets matched to each lesson. Once your child progresses through the Reading Eggs 100 lessons, geared towards ages 4-7, they can then visit Reading Eggspress. Reading Eggspress is for children ages 7-13. With hundreds of online games and activities, your child will continue to develop their reading skills. From this floating island pictured below, the child can access the different buildings and thereby the different lessons, books and games. The character with the red arrow above it’s head, is the same avatar my son had. In Reading Eggspress, the kids earn Eggs for reading books. They can then buy clothing, hats, shoes, and even jewelry to dress up their avatars. My son enjoyed the Reading Eggs lessons. He liked the variety of books available to choose from. He also very much liked playing the many games available. He even spent quite a bit of time buying stuff for his avatar. A fun reward for doing reading lessons and reading books. Monthly Recurring Subscription – $9.95 per month and you have the flexibility to cancel at any time. 12 Month Subscription – $75. Book Packs are also available for purchase. For more information, visit the Reading Eggs Pricing Page. Try a Sample Lesson, or a Free 14 Day Reading Eggs Trial with your child. See what other The Old Schoolhouse Homeschool Crew members are saying about Reading Eggs.